Designed and manufactured by the Original Motorsports helmet light producer. Made in the USA. Single emitter design means a lighter design, more usable light, better beam patterns at a lower power draw, without the excessive glare. Simply a helmet light setup done better. Dont be fooled by Lumen rating BS. This all new setup will help get you into the winners circle with a chin mounted LED light that produce a strong beam without light scatter and without excessive glare and particle feedback. Put the light where you need it, not in the tree tops. Can be ran from the included batteries or the Bikes 12V dc power supply. 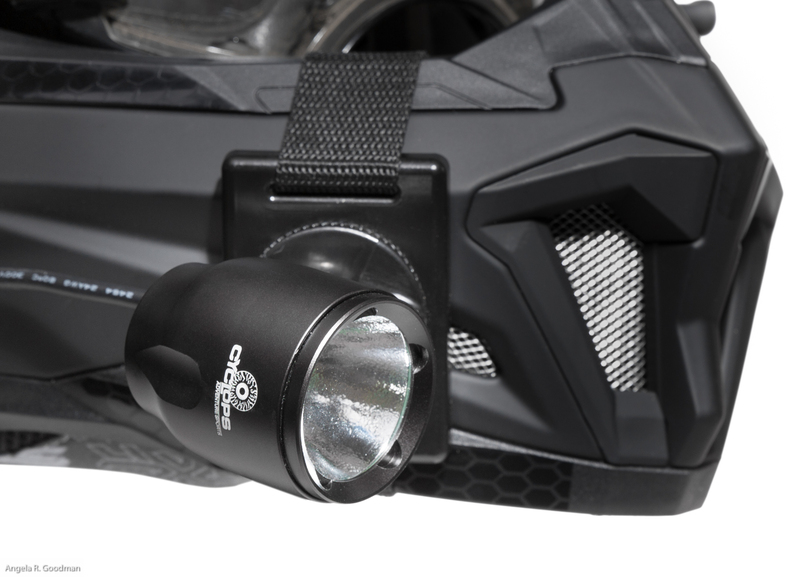 All new chin mounts allow the lights to be adjusted to the perfect angle in all directions. Low power draw means quicker recharges and longer run times at a very light weight package. 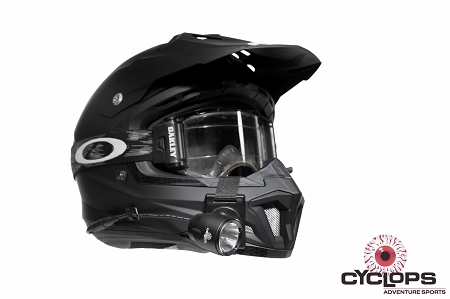 The lightest helmet mounted light on the market. Low profile and tucked in to keep from snagging branches etc. 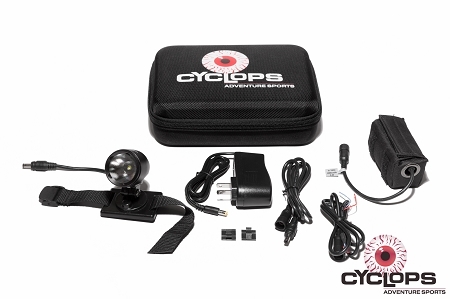 Only Cyclops has been in the Motorsports specific helmet mounted light industry for nearly 15 years. Made for riders by riders. Includes: One light, chin mount, Li-Ion battery and charger, storage case.